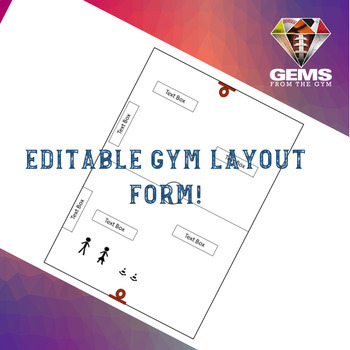 PE Lesson Plan Gym Layout Form - Editable! 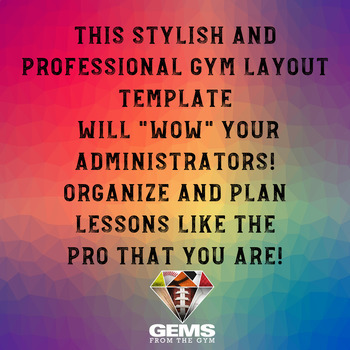 The editable Gym Layout Form is a tool to help you organize and plan your lesson. The template is also a great way to leave plans for a sub! 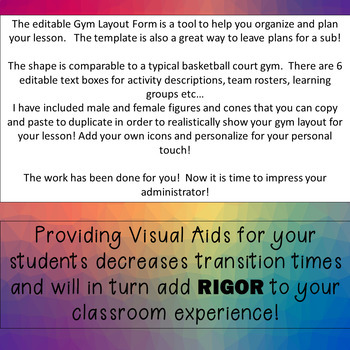 I have included male and female figures and cones that you can copy and paste to duplicate in order to realistically show your gym layout for your lesson! The work has been done for you! 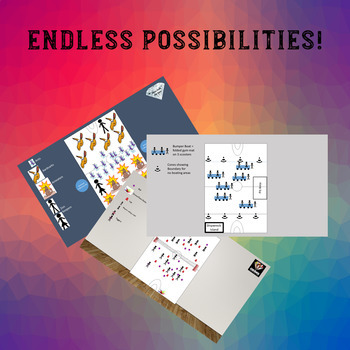 Now it is time to impress your administrator!